Stephen Lapthisophon is an American artist, writer and educator working in the field of conceptual art, critical theory, and disability studies. Lapthisophon received his BFA from the University of Texas at Austin and an MFA from The School of the Art Institute of Chicago in 1979. His studies continued at Northwestern University in Evanston, Illinois in the Department of Comparative Literature and Theory. His early work combined poetry, performance, sound art, and visual arts with postmodern philosophical concerns. Influences include Arte Povera, Robert Smithson and the legacy of the Situationists, who sought to make everyday life a focus of artistic activity. 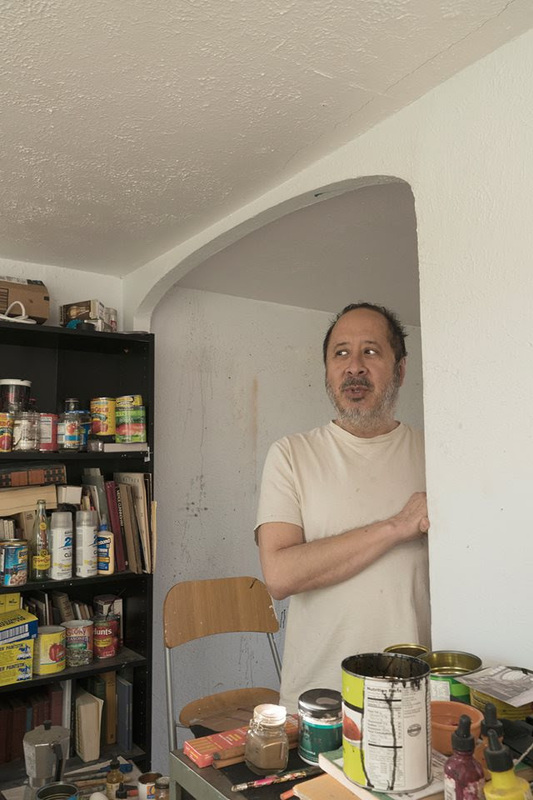 He has exhibited extensively across the United States, including recent exhibitions at the Nasher Sculpture Center (2015) and Goss Michael Foundation in Dallas, and solo exhibitions at the Dallas Museum of Art (2013/2014) and Sector 2337 in Chicago (2016). In addition to numerous shows in Chicago Lapthisophon has had solo shows in Philadelphia, St. Louis, and Los Angeles. He has been included in international exhibitions in Sweden, Germany, Spain, France, and the UK. Museum exhibitions include the Museum of Contemporary Art Chicago and the Museo de la Ciudad Queretaro, Queretaro Mexico. Publications include Hotel Terminus (White Walls, 2001) and Writing Art Cinema 1988-2010 (Green Lantern Press, 2011). As a speaker, Lapthisophon has lectured at RISD, the University of Illinois Chicago and CalArts. He currently teaches art and art history at the University of Texas at Arlington. Lapthisophon is represented by Conduit Gallery in Dallas.